to a variety of disease states. It's estimated that the number of Intestinal bacteria is roughly equal to the number of cells in our bodies and, intuitively, one would expect such a substantial and active biomass (around 200g in a 70kg adult) to have some influence on health and disease. Increasingly sophisticated means of profiling the multitude of bacterial species found in the gut microbiome and the metabolites they produce are beginning to identify factors that contribute to inflammatory bowel disease, cardiovascular disease, metabolic diseases and how individuals respond to cancer immunotherapy. The role of the microbiome in gut conditions has, as might be expected, received particular attention. Inflammatory bowel disease (IBD) falls largely into two distinct types: ulcerative colitis (UC), which is confined to the large intestine; and Crohn's disease (CD), which may affect any part of the digestive tract. Both are chronic conditions characterised by periods of remission and flare, and are treatable but not curable. IBD is immune-mediated, although the trigger(s) remain largely undefined: genetics; the integrity of the gut surface, and environmental factors (diet, stress, antibiotic use) which may change the gut flora all play a part. 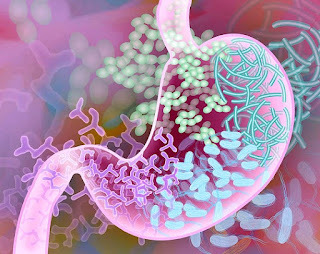 Analysis of the gut microbiome in IBD sufferers suggests that both UC and CD are associated with different "microbial signatures", with certain bacterial species being present in abundance, and other species being absent or present only in low numbers. Bacterial degradation of mucin, a protective glycoprotein which lines and protects the gut is one possible contributory mechanism, as are changes in microbial fatty acid and amino acid biosynthesis. Association is by no means proof of causation- changes in the microbiome- “dysbiosis”- might result in chronic inflammation, but the reverse may also be the case. Alteration of the microbiome through antibiotic treatment is associated with better clinical outcomes in IBD, but also appears to be a risk factor for the development of CD. There is no compelling evidence that probiotics- the "good bacteria" of marketing campaigns- are of benefit in IBD. While understandably unappealing, re-balancing the gut flora through "faecal microbial transplantation" (FMT) has been shown to be of benefit in small studies involving IBD patients. A recent study throws light on the relationship between one particular bacterial metabolite, ascorbate (vitamin C) and IBD. Microbially produced vitamin C does not contribute to our nutritional requirement but its presence in the gut may be significant. University of California researchers investigated 139 different microbial metabolites associated with CD for their effects on human T cells which mediate inflammatory processes. Fifteen metabolites were identified as having an effect on T cells, of which only ascorbate served as an inhibitor of T cell activation, possibly through altering glycolysis, a key energy-producing pathway. That certain bacterial species associated with CD are capable of ascorbate production adds a little more circumstantial weight to the hypothesis, but further elucidation of the relationship between disease and gut ascorabate levels and the presence or absence of ascorbate-producing species is required before practical use can be made of this observation. Intriguingly and unexpectedly, IDO, or more accurately, the lack of it, has been found to have a beneficial effect on gut microbes in an animal model of obesity. IDO activity is increased in obesity and French researchers have shown that IDO action in the gut results in a "rewiring" of tryptophan metabolism which in turn impacts on insulin sensitivity, lipid metabolism in the liver, the integrity of the gut surface and levels of chronic inflammation. These effects are mediated through production of IL-22, a signalling protein involved in immune regulation and liver and gut epithelial cell survival. Knocking out IDO activity allows gut bacteria to direct tryptophan metabolism in a benign manner. The composition of the gut microbiome was found to be different between mice with active and inactive IDO. It's a leap to suppose that IDO inhibitors might eventually be repurposed as treatments for obesity, but better understanding of the interplay between "immunometabolic" mediators such as IDO and the microbiome could open up paths to better therapies or means of either preventing metabolic disease or identifying individuals at higher risk of obesity. Photo credit: Darryl Leja, National Human Genome Research Institute, National Institutes of Health. Back in the late 90s, I was involved in the licensing of an early-stage peptide drug aimed at preventing tooth decay by blocking the anchoring of the acid-producing (and enamel destroying) bacterium, Streptococcus mutans. As is not unusual in small biopharma, development was never progressed, but I’ve remained interested in the concept of caries prevention through pharmaceutical intervention. Tooth decay is an infectious disease, the principal villains being S.mutans, S.sobrinus and other acid-producing/acid-loving bad actors which outstrip other bacteria present on the tooth surface and modify the local environment to their advantage. 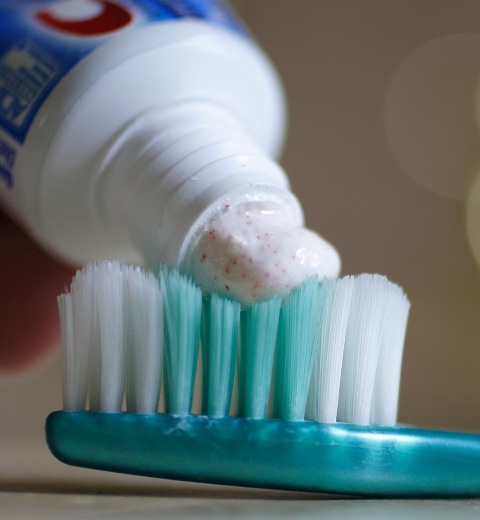 S.mutans breaks down the sugars found in our diet and the resulting acid initiates and continues the destructon of enamel and dentine, an essential tooth mineral. Caries risk is influenced by a variety of factors, the most obvious being sugar consumption and oral hygiene habits, although the recent identification of highly virulent S.mutans strains by Swedish researchers associated with mutations in saliva proteins indicates that genetics may play a part. As a bacterial disease, it’s not surprising that vaccination has been pursued as a possible means of caries prevention. Saliva contains secretory IgA (sIgA), a class of antibody evolved for the protection of mucosal surfaces and oral protection is theoretically possible providing effective levels of specific sIgA can be generated. Vaccination is also a low-cost and practical means of protecting large populations from an early age. Since the 70s, a multitude of potential vaccine targets expressed by both S.mutans and S.sobrinus have been identified and evaluated in a variety of formulations and different delivery routes (systemic, oral, intranasal), largely in animal models and a small number of volunteers studies. Despite more recently applied technical sophistication (including DNA vaccines and synthetic proteins combining several bacterial targets), development has never moved out of the transitional phase and the challenge of eliciting an effective, long-lasting antibody response remains. Almost as old a concept is “passive” immunisation- the use of bacteria-specific antibodies delivered in a mouth rinse or gel to sequester unwanted acid-producers. While the concept has been established in animal models and a few clinical studies, formulations based on mouse, bovine, chicken and even plant-grown antibodies have remained as curiosities. A recent approach combines advances in antibody generation to probe for targets actually present on living S.mutans and S.sobrinus and evolve corresponding antibody fragments which retain their specific binding properties. Fragments can be produced cheaply at large scale, and while successful in reducing caries in an animal model, formulation to give effective protection without frequent reapplication poses a formidable problem. A variety of both natural and synthetic peptides with antimicrobial action have been evaluated as a means of ablating S.mutans and other acid-producers, although with mixed results. Clinical trials of a “specifically targeted antimicrobial peptide”- STAMP, designated C1652 and sponsored by a small US biotech company, C3J Therapeutics, are underway. C1652 was designed to act only on S.mutans to avoid unwanted effects on the oral microbiome. Interestingly, C1652 treatment appears to prevent S.mutans recolonization after treatment, although it’s too early to tell whether this useful property will be observed in human studies. A collaboration between Johnson & Johnson, a pharmaceutical and consumer healthcare giant, and the University of Pennsylvania School of Dental Medicine is looking at the feasibility of low-cost antimicrobial peptide production in plants. Effective immunological or antimicrobial-based protection against decay probably remains decades away, but drug-based means of repairing the damage might be on the horizon. Researchers at the Dental Institute, Kings College London have shown that, tideglusib, a drug originally investigated as a potential Alzheimer’s disease treatment, acts upon stem cells present in dental pulp to stimulate dentine production. This process does occur naturally, but at a level too low to result in a robust repair. Tideglusib inhibits an enzyme, glycogen synthase kinase 3 (GSK-3), yhat normally serves as a brake on dentine production. When drug-loaded protein sponges were place in cavities formed in mouse teeth, sufficient dentine was produced to repair the tooth within six weeks. Optimised GSK-3 inhibitors could proof to be even more effective restoratives. 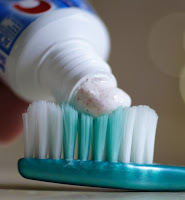 In the meantime, the toothbrush, dentist and the fluoridation of drinking water remain our best defence against the ravages of S.mutans and its companions.